PDXpert gets you into PLM without busting the bank or compromising on the vital functionality that you need to get control over your data and processes. PDXpert PLM software lets you maximize product design time while reducing administrative costs. When you use PDXpert PLM system, you can protect and store a number of electronic documents that your company needs, such as design specifications and files. Processing changes in products is efficient with this system. Documenting and tracking changes are standard capabilities of the PDXpert PLM software. Whether you're operating a small, medium-sized or large business, cost management and profit maintenance are both important considerations. PDXpert PLM encourages employee collaboration and reduces the risk of losing files, as you can store the documents themselves in the system. This PLM solution requires a Windows-based operating system. Since you can customize the software for your needs, you don't need to worry about outgrowing it. One benefit to firms that operate with cloud-based technology is the private cloud server option, which maintains data security. PDXpert streamlines PLM functionalities — such as bill of materials (BOM), revision control and change management — into lightweight processes with immediate benefits. Users can choose to install PDXpert on their local network or use private hosting, addressing public cloud security concerns. Additionally, flexible, simple-to-manage role- and membership-based permissions take account of item status, project team membership, file access, and a variety of subtle security issues. Active Sensing's affordable pricing and flexible licensing models translates into low project cost and a quick payback on the initial investments made by the organization, perfectly catering to the needs of smaller/medium businesses. Absolutely the most feature packed PLM I've used. Very well organized SQL Database structure which eases integration with Engineering and MRP/ERP systems. Product support is fantastic; always timely and knowledgeable not just regarding PDXpert software itself but also PLM principles. Provided invaluable guidance during implementation of our system. I really like the speed, and ease of use. I was able to configure types, revisions, workflows, etc. with no trouble. The support is by far the best I have ever had using a PLM system. My support engineer is the best! There are some real time-savers built in like Snapshot and Convert...good stuff. I have been a long time user of Agile and Arena and can say that this is the best software I have used for product life cycle management. I have never used PDXpert before but within no time I was training our other users and we were all up and running in a day. Great functionality and great value, I can't say it enough. PDXpert is a great tool. We are a small company just getting started and we were able to select just the tools we needed at this time without being burdened with a lot of overhead. As we grow, it is clear that the system will have all the capabilities we need and we will not outgrow it. We looked at several systems and none had the versatility. The fact that we start off at a lower cost and only increase the cost as we need more capability is another benefit. The support was better than I have ever experienced. Even when it was getting a deeper level of understanding the functions and not necessarily technical, I had their complete focus. I would have thought I was their only customer. The extensive help system as well as the on line tutorials makes getting up to speed straight forward. Excellent software for document and part revision control. PDXpert is extremely user friendly and trouble free. We have never had an issue with PDXpert malfunctioning or behaving in any way other than it should. Any tech support issues have always been quickly and completely resolved in a extremely professional manner. Engineering changes are very easy to start, route and implement. Part version control, AVL info, document control, change control are all great. Easy search for parts, manufacturers, engineering changes, past revision BOM and so on. Everything you need. 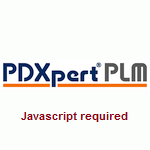 I have to say that PDXpert PLM product support is great! PDXpert PLM is very customizable, and easy to use and implement. I have experience with more expensive modular systems and PDXpert can pretty much do what any of those expensive ones do. Setting up the tool is very easy and the website contains lots of information to help you implement it, such as best practices and great tutorials for user training. Over all it's a great product. Highly Recommended. PDXpert is one of the easiest to learn and most flexible systems I have ever used. The online training is clear and complete, the contextual help is very good. Functionality is comprehensive. However, the best aspect of PDXpert by far is the tech support. It turns a good product into an outstanding one. It&apos;s been a pleasure working with you throughout the years, you&apos;re one of my favorite vendors with your superior customer service. Very easy to use and deploy, customer support is fast and extremely knowledgeable. .... Very useful to keep files associated with suppliers centralized and up to date. Excellent features for PLM and change control with optional workflows pre-configured. 21CFR11 Compliance for GMP operations. Online help menus and superb technical support quickly resolve questions. Needed a simple and lightweight PLM product. PDXpert is full featured and met all of our needs without the overhead typically associated with this type of product. It is simple to use and simple to learn. We were up and running quickly. The best part of this product is Active Sensing's customer support. The Support Engineer is very knowledgeable and willing to suggest better ways to implement the product. Additionally he has worked diligently as I attempt to figure out the best way to implement PLM within our company and set us up for the next step which is integration with a MRP system. We will need to create custom outputs from PDXpert and we are learning how to do that as we do our original implementation. We have almost 6 months working with Active Sensing and they continue to be extremely responsive to your needs. Our experience with PDXpert has been very positive from the start. PDXpert is an affordable full-featured PLM system that have helps us manage a 350+ electronic circuit board assemblies with thousands of parts. My department uses PDXpert as our electronic and mechanical assembly BOM and change management system. We are able to effectively manage change to hundreds of active products that we produce in-house. PDXpert helped get our documentation under control! The system was very easy to implement. PDXpert meets all of our needs. It is flexible enough to allow us to configure it the way we want it. The customer support is fabulous. If I have any questions, I just pick up the phone and call. They are very responsive. I've been using PDXpert for 8 months and it has really helped our engineering and operations organizations get our item master, bills of materials, and engineering documentation under control. As with any system, PDXpert has its limitations. The limitations are minor, however. The out-of-the-box reports are adequate. We paid for 1 custom report and will probably get more reports in the future. But, for now, we have what we need. Overall: I highly recommend this system — very easy to use, great search engine, lots of flexibility. Full featured PLM, with a fairly easy interface system. The flexibility of the database to incorporate customer fields and other items needed to tailor the systems. Ease of installation. We use the system globally and sometimes the speed of operation is slow, even over fairly fast network connections. We used PDXpert to initiate a global PLM systems for our company. Allowed us to move away from a simple and very limited in-house system. It was easy and quick to roll out across the company. I am amazed by the clarity and simplicity of PDXpert. I have worked extensively on ENOVIA and SmarTeam, but I appreciate the architecture of PDXpert. Existing part number / description database imported without any problems. Logical layout of windows makes finding and using data easy. Excellent search function. Comprehensive 'Help' system makes system easy to learn for new users. Extensive technical help files available from Technical Support for more advanced users, and for 'Best Practice' advice. Rapid and knowledgeable response from Application Engineer to all our questions. PDXpert makes finding the interrelationship between all of our parts effortless, including our Suppliers' part numbers. Clicking on file references within PDXpert immediately opens the corresponding drawing, specification, document or file, saving hours of time and greatly improving the use and reuse of parts in new and revised designs with substantial reduction in cost of inventory. Computer assisted design and drafting systems (CAD) are nice to have, but in my experience a good Product Lifecycle Management System (PLM) is essential. If absolutely necessary, we could live without CAD and use manual techniques, but there is no known way to handle the complex interrelationship between parts without access to a well designed Product Data Management system. A PLM system is even more useful! I am convinced that the return on investment from our PDXpert PLM system is far greater than the ROI from our CAD system. However, it is difficult to prove because we can only record time and money spent, there is no accurate way that we know of to estimate how much time and money we do not have to spend now that we have a better way to handle our increasing data management requirements. PDXpert is an enterprise class tool that offers powerful capabilities with the scalability to support our ongoing growth. PDXpert software did exactly what I needed it to. Once I learned a few basics it was very easy to learn. I did not use the full functionality of the software since I was using it to develop Bills of Material for a company that had never implemented an ERP system. There are a few features I needed that were very specific to what I was trying to accomplish. I would not really expect the software to do those things so it took some custom programming which was done at a very reasonable cost and was completed on a timely basis. Customer service was prompt in responding and helping me with understanding the system and figuring out how to do certain things I needed to do. I could not ask for better customer service. I can highly recommend PDXpert for use in a manufacturing business.... We have found it to be very customizable and friendly to use. PDXpert links to Altium very well. Our engineers are very satisfied with the integration between the two and when asked about the integration said that it was very fast and works well. The support for PDXpert is excellent. Anytime I have wanted to understand something or create a custom solution to a problem I have contacted support and always gotten a timely response with exactly what I need. Active Sensing has always been very helpful for anything we have wanted to do. PDXpert has had the best technical support of any software I have dealt with before. I wish all our software at our company was like PDXpert. I think the licensing scheme is very fair and non-intrusive. We are using this product more and more. So far working very well for us. Quick searches using Internet type search techniques; 5-star support was like having a direct line to the engineering department; Customer feedback was solicited, taken and often incorporated into future releases; Short learning curve got me up and running quickly. ...Perfect for small and medium sized companies. The system is very capable but at the same time does not try to incorporate functions outside of its primary remit which often causes complication with other vendor systems. The ability to hold information within one database and produce quick reports giving key financial and material data is something that is just not possible easily with spreadsheets often used by smaller enterprises. The ability to easily produce structured BOMs and keep track of where parts are used is something that should not be underestimated. Changes of parts are immediately reflected throughout without having to think about and potentially miss with manual systems. The technical support provided through your own dedicated application engineer is exemplary. For a UK based enterprise the initial concern is how do we cope when we need help. That has been completely dispelled by the swiftness that questions have been answered. Its ability to be customised and its scalability allows it to grow with the business without the fear that at some point it will be necessary to move to another system. Try looking at PDXpert by Active Sensing... Good system at a low cost.